In the UAE, we can help you build your business in the region and make it a success. Our technology and performance improvement capabilities are well-recognized by local companies, so we have been drawn to participate in a range of investment and operational development projects here. Since the 1980s, we have been working with Tier 1 national oil, gas and petrochemical companies in the Gulf Cooperation Council (GCC). 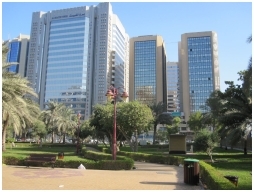 In 2011, we opened our first branch office in Abu Dhabi, sponsored by the Supreme Petroleum Council.